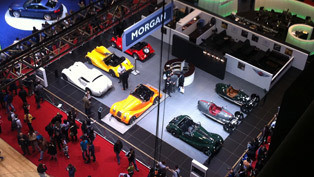 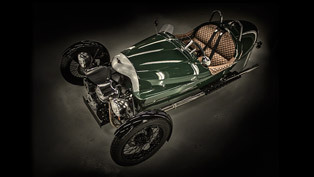 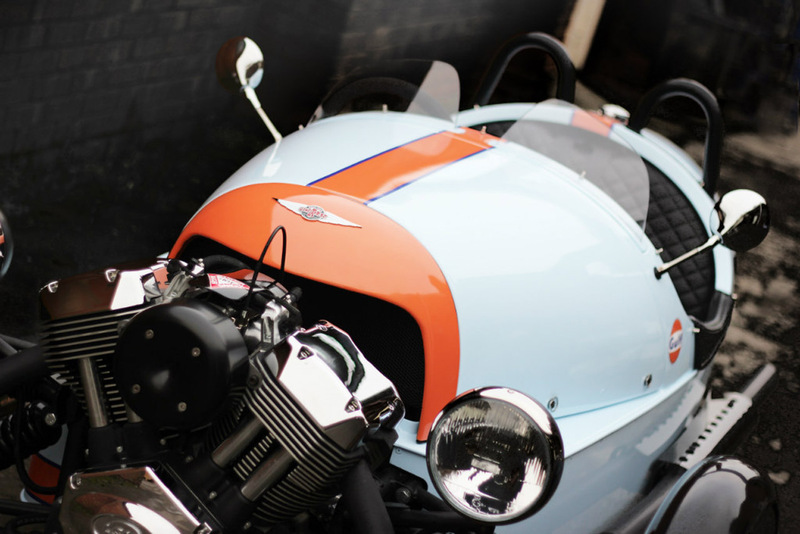 Morgan 3 Wheeler Gulf Edition is the latest car made by the popular British brand. 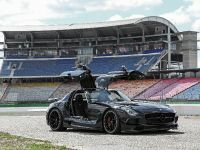 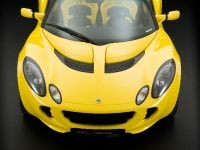 With its open-cockpit it is truly an extreme sports car. 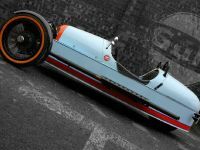 In fact the unique vehicle was specifically built in order to race in the World Endurance Championship for Sports Cars. 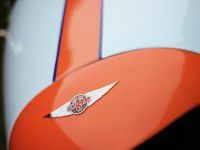 The races in which the car will take place are at Le Mans for the 24 hours as well as Sebring, Silverstone, Spa. 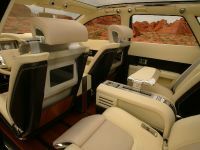 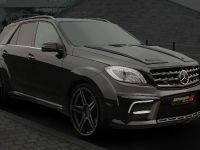 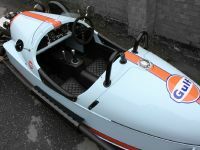 Furthermore, it is important to mention that many race-drivers prefer an open cockpit because it has some advantages over the coupe, such as superior sense of speed and vision. 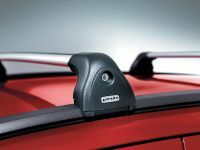 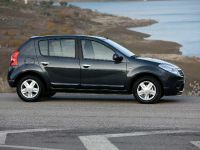 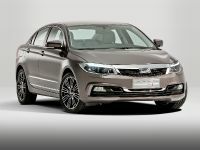 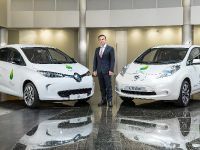 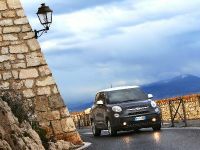 In addition, the driver can develop closer bond with the car and feels safer because he can be more in control. 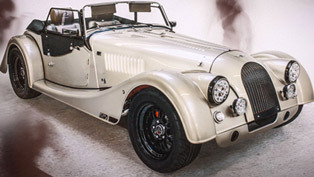 This Morgan also delivers unique combination of economy and acceleration, thanks to its superior V8 engine plus the low overall weight and superb aerodynamics. 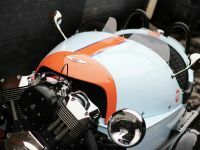 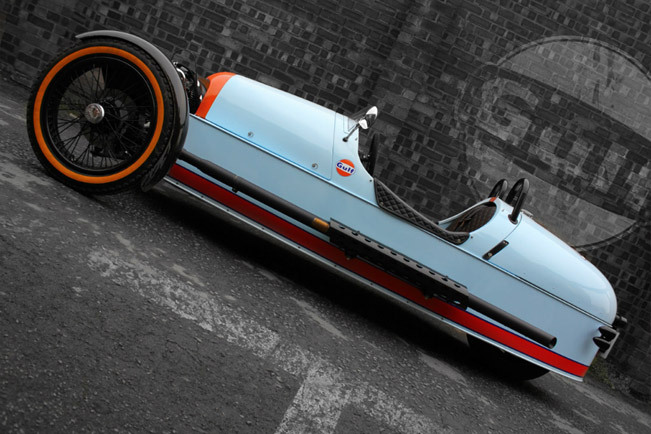 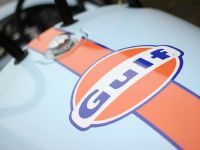 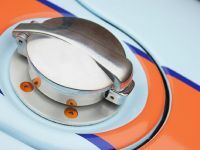 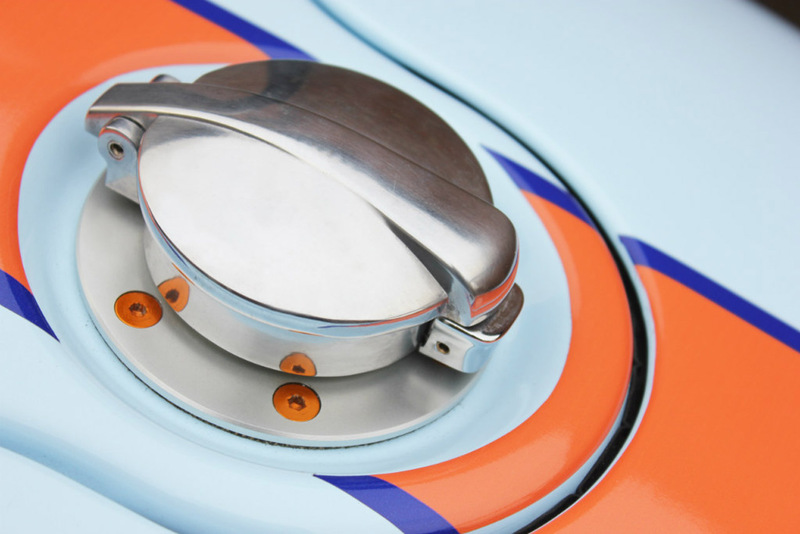 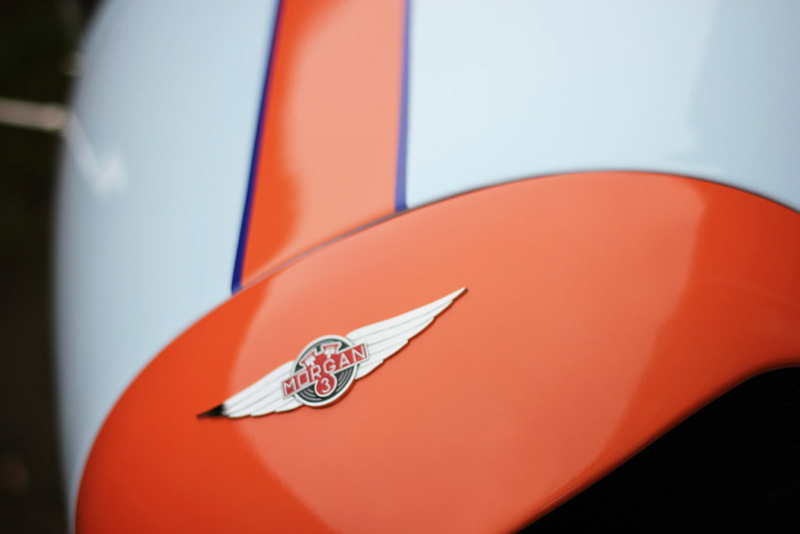 Morgan 3 Wheeler Gulf Edition impresses also with its striking Blue and Orange graphic – the Gulf Oil livery. 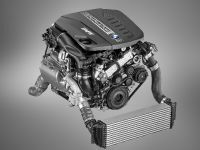 This represents the years of motorsport success. 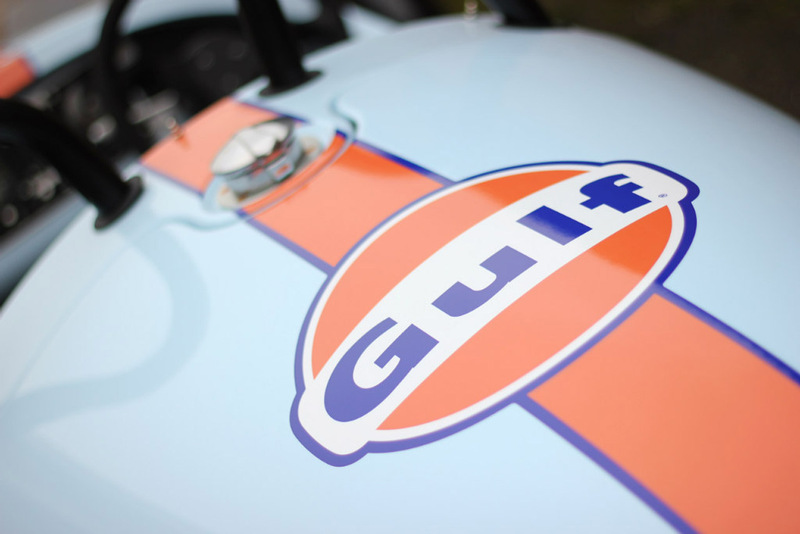 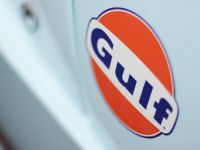 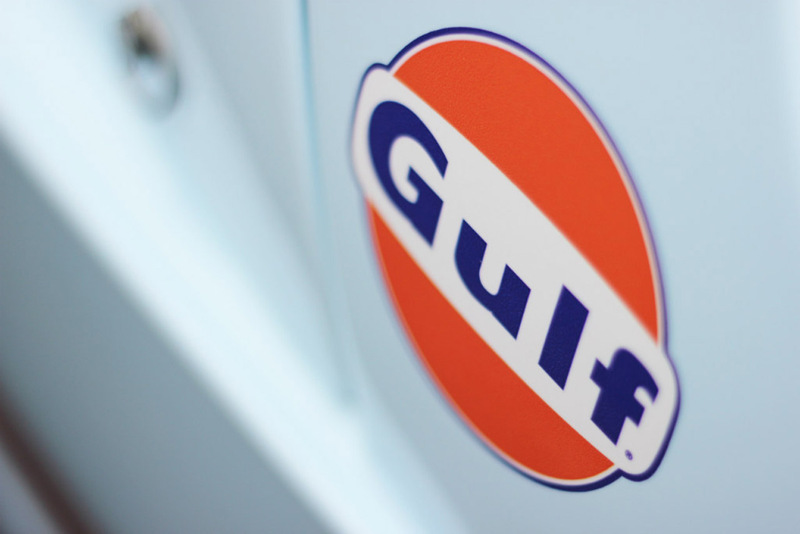 In particular the car is adorned with "Gulf Edition" text for being the hundred commemorative vehicle.